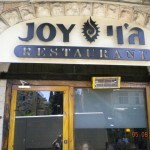 The restaurant is under the hashgacha of Badatz Beit Yosef since July 2012. I have confirmed this today, speaking to one of the administrator’s of the badatz. Sorry, I am confused. I was under the impression from your post that after the loss of the OU it had a bogus hashgacha and I stopped going. Was I wrong? How good is this hechsher as where ever you look you see Badatz Beit Yosef . Do they have enough man power to control every thing ? To me this hecsher seems to be a political hechsher as they want to take over every where . Do they cater for both kashrus groups ? Is the OU sign still being fraudulently posted, or the did they get around to taking it down? I would also like to see responses to the upper 3 questions asked. The OU hechsher was a sticker on their sign. Whether it is down yet I don’t know, but since they surrendered OU the sign has not been up in their restaurant. Irving: You weren’t the only one who misunderstood Yechiel’s previous post. 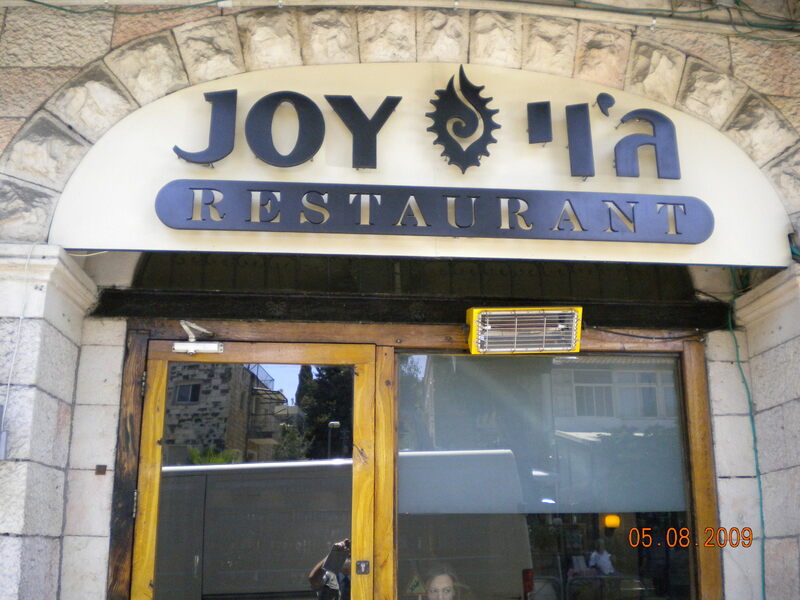 The hechsher in the restaurant was not bogus, it was OU and then Beit Yosef (which it is now). The problem is that people have been too lazy to take down an OU label stuck onto a sign on Emek Refaim advertising Joy. Yechiel has been clear before that he does not recommend or advertise any specific hechsher. What he does an excellent job at is advertising the situation – bogus hechsherim and problems – but as for internal standards, to the best of my knowledge Yechiel has never advertised. For that you need to ask your Rov. I personally accept Beit Yosef but don’t eat the rear parts that are mutar to sefardim; however this is not an advertisement for any hechsher.